What have you decided to get for Mother’s Day? Well, Sony has a Camcorder Package for the clueless, consisting of the Sony DCR-SR45 Handycam camcorder with the DVDirect VRD-MC5. 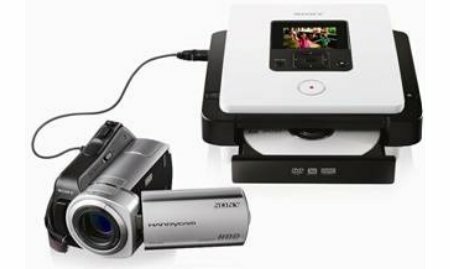 Perfect for mom to record all those family moments, allowing her to transfer them to a DVD without the need for a middleman device such as a computer. It has a fair amount of storage space – 30GB to be exact, which is capable of holding up to 20 hours of content. Of course, this won’t preserve your favorite memories in high definition, but at least there is the memory keepsake, right? A 2.7″ touch screen LCD panel makes it a snap to control the camcorder even during the more boisterous family moments. You will be able to save up to $180 when purchasing both the HandyCam DCR-SR45 and VRD-MC5 together on a single receipt which amounts to $729.98.